2. Fees (which the sender pays to the miner who successfully mined the block). There can only be ONE Coinbase Transaction per block; it will then be added to the block which the miner is trying to solve the proof of work for. The easiest way to identify a Coinbase Transaction is to notice that there are “no inputs” (as stated on the left hand side of the image below) within the transaction. 1. The transaction amount totals up to 25.02953906 BTC. 4. The total fees being paid by transaction senders for this given block is 0.02953906 BTC. 5. 1CjPR7Z5ZSyWk6WtXvSFgkptmpoi4UM9BC is (most likely) the miner’s address and it is where the mining reward and fees are being sent to. 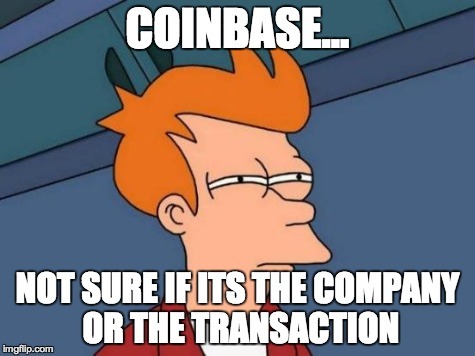 The term Coinbase Transaction should not be confused with the name of a Bitcoin service company, Coinbase. 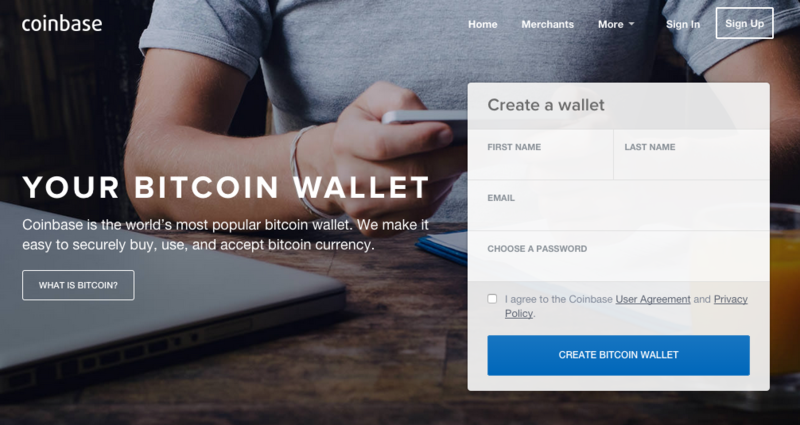 Coinbase is a Bitcoin wallet & payment platform for consumers, merchants, and developers. It provides an easy way to buy Bitcoins in the US and some parts of Europe.